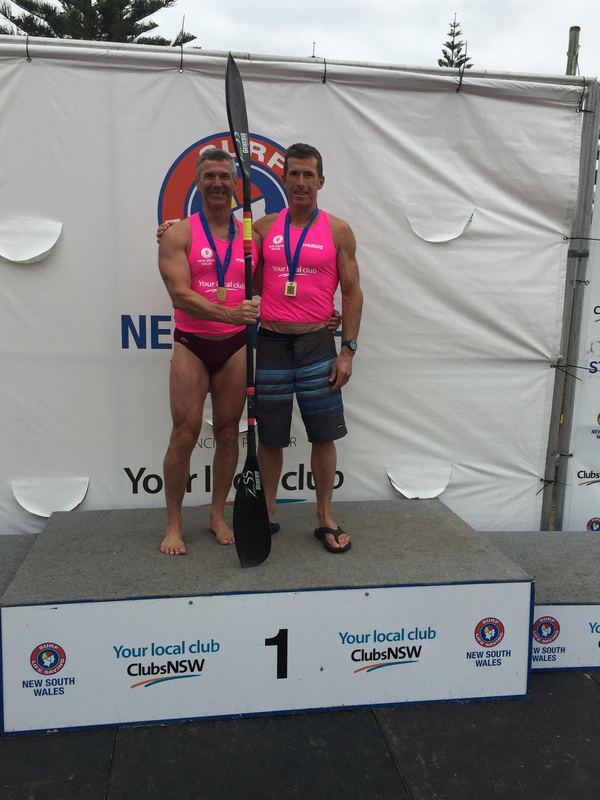 Those loyal subscribers and clients who have been reading my regular emails, blogs and posts for some time would remember my miserable performance at last years New South Wales Masters Surf Lifesaving titles. I was smashed at the start of my surf ski race and ended up coming a very distant last place. From memory the blog subject line back then was “Wrighty Fails Again” – and the business lesson was to get back on your ski and try again – as it is in all aspects of sport,business and life. Well – what a difference 12 months makes. At the 2019 State Masters – drum roll please – I came away with one Gold and one Silver medal – what a buzz. Last to first in 12 months. Now before you email me to ask me to stop bragging and be more humble – let me share a very valuable business lesson from this incredible turnaround in form. Surround yourself with fantastically talented people. My Gold medal was for the Male Double Ski race – where I was the rear paddler on this 2 person craft. The surf gods smiled on me as my Doubles partner this year (the guy at the front of the ski setting the pace, steering the craft and doing just about everything) just happened to be the current Single Ski State Champion and runner up at the World Single Ski Titles in our age group. His regular doubles partner had to miss this season due to an injury so the champion reluctantly turned to me – as my past partner was also taking a year off (probably stress related). NOTE – before you email me the answer is NO – I did not do a Tonya Harding on this superstars previous partner – he just has a bad shoulder. On the podium with Murray the paddling superstar – I am on the left. To sit nicely next to my Gold Medal from the Double Ski – is the Silver Medal I received as part of the 170 Years Ski Relay Team. In this event 3 ski paddlers take it in turns to race out around the cans and tag the next paddler. Once again – the surf gods smiled on me – as this 3 person team (our combined ages need to add up to more than 170) was made up of my superstar doubles partner, ME, and making up the trio was the current state champion from an older age group. Once again – I surrounded myself with fantastically talented people – who squeezed me in as the second paddler and hoped I did not mess it up. So – what is the business lesson? It is impossible to run a great business (let alone a health business) without having an exceptional support team. The most successful owners in the world have a trusted accountant, receive great legal advice, have a sharp business coach, a great practice manager, and an incredible team of therapists who provide exceptional care to all clients. The super smart owners even rely on experts to look after their social media , Google Ads campaigns and even patient follow up calls. Don’t make the mistake of thinking you can do it on your own – it is just too slow and you may never get the result you want. Who can help you achieve the outcomes you desire? Where are the bottlenecks in your business and who can help me solve it? I encourage each of every one of you to surround yourself with great people and grow from these incredible relationships. Lets hope if I continue to hang around these surf ski paddling superstars – I will get a bit faster. If you are looking to surround yourself with great health business owners and find out what the best businesses in the world are doing to attract clients – make sure you check out my upcoming Canadian and Australian seminars. I am kicking off the April Canadian tour with our first ever “Ultimate Client Attraction Bootcamp” in Quebec. Then an elite 10 person only “Mastermind” event – also in Toronto. For my Australian audience the brand new live training event with myself and international sales and communication expert Steve Jensen – is being held in Sydney in June. All successful health professionals and business owners understand the importance of the words we use and how to give clients confidence in our ability to help them with their health issue.